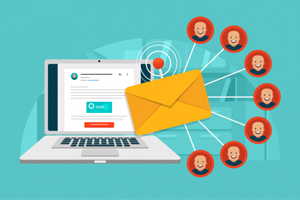 Using Wats App Messaging we can easily send massive amount to your targeted customers As we all know Wats App is really a great tool for messaging and is nearly free of cost. It has got everything including SMS, MMS. It can be the best local marketing resource. Wats App Message A new Way of Mobile Marketing ! We offer a wide range of modified solutions that enable entrepreneurs, businesses, and non-profits organizations to communicate with their existing and potential clients. We provide top and fastest delivery services. High-speed and successful medium to sponsor your business and generate good sales and leads. ! Total 1 Text, 4 Image, 1 PDF, 1 Audio, 1 Video & 1 VCard Send in One Time Image formate is .jpg, .gif, .png Then you need to send the WA on filtered database. 24x7 Support in case any queries by means of Call, SMS, and Email. Magic Web Services is very user-friendly...it makes the layperson look like an expert in managing email lists. Though there are other Web Development services, Magic Web Services email newsletter feature set and affordability combined with their outstanding customer support makes them really stand out as the best Web Development solution for businesses. "If you are looking for a great email, What's App and SMS marketing service, Magic Web Services is at the top. This service has everything that you’ll need to target your audience, create a compelling email, What's App and SMS monitor results and boost your sales." "We have been using Magic Web Services for all our web design and domain hosting. I find Magic Web Services very responsive to requests for changes, and always ready with tips and suggestions for improvement. They do a great job, quickly and are good value for money." Thank you all for the huge amount of time and effort that you’ve put into the creativity, design, development and realization of our site. Please pass on our thanks to the rest of the team too. MWS is an innovative IT Technologies for the present global business needs. mws serve in end to end it complete web Technologies. mws is venturing into ERP products and services and also offer a complete web Technologies.